The latest fish in the Roanoke Valley Rocks Program has been launched. 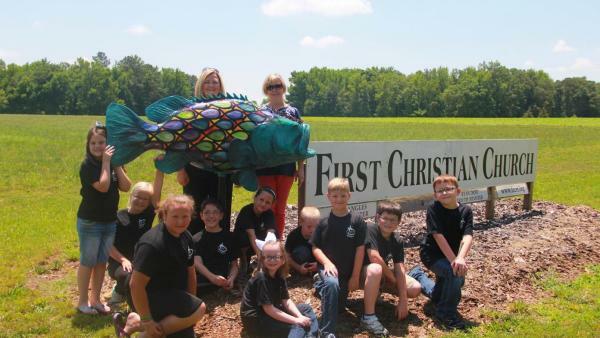 Pictured here are Donna Grimes, the artist, and the Kids Praise Team from First Christina Church. First Christian Church offers many activities for youth and teens. They host vacation bible each year in June at First Christina Church, located at 836 Roanoke Avenue. This year’s theme will be Searching for Gods Treasure. Come out and find Gods treasure! Bane Angles is the Lead Minister at First Christian Church.